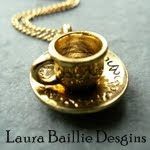 Laura Baillie Designs ..... things: Who would you be today? I really enjoyed the film Mr and Mrs Smith, it was one of our first wedding gifts! I love the character Angelina plays, the costumes, the missions, the action. So if you could be anyone for a day, who would it be? PS. I would not ever shoot my husband or throw knives. But every girl need to vent a little! oh yeah, every girl need to vent sometimes! anyone on the Office, just to get to watch Steve Carell make everyone laugh!